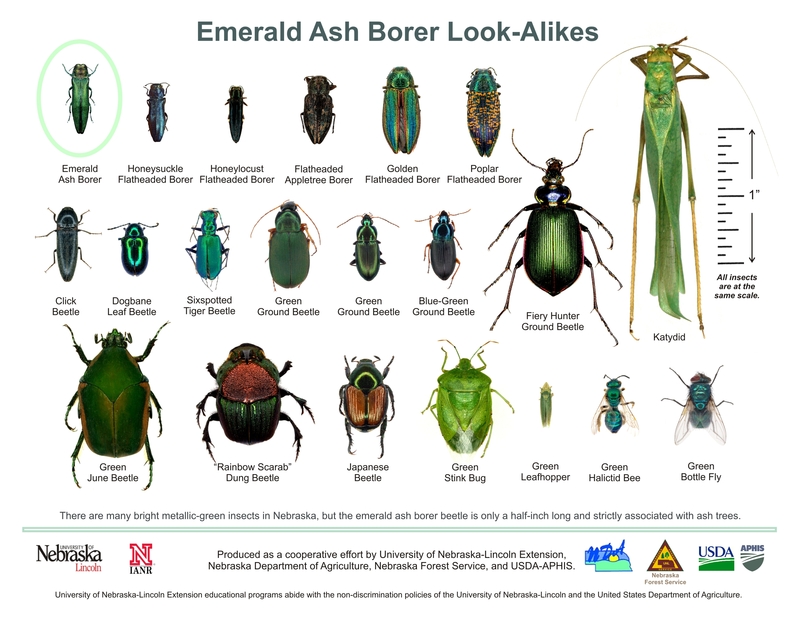 DACF Home → Bureaus & Programs → Maine Forest Service → Forest Health & Monitoring → Invasive Threats to Maine's Forests and Tree → How do I know if I've found emerald ash borer? How do I know if I've found emerald ash borer? Emerald ash borer has not been found in Maine, however it could be here undetected. 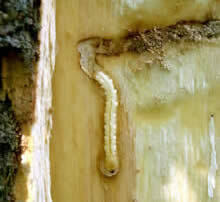 Emerald ash borer is among the forest threats that is easily moved in firewood. Maine's scenic places draw thousands of visitors and seasonal residents each year, providing many opportunities for potential pest introductions on firewood. 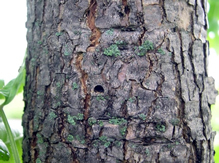 Emerald ash borer adults are active between late May and September. Is the tree an ash species? 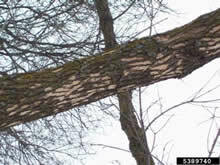 Emerald ash borers only attack ash trees. Is the tree in poor health? Do you see any of the following? WHEN IN DOUBT, CONTACT US!